Help me out here. There's something I've been spending a couple of months trying to get my head around. Why does BP enjoy such a peculiar immunity after having apparently been culpable in the Gulf oil spill? What is the nature of its invisible protective shield? All I know is what you know. Like most other ordinary citizens, I try to keep up the best that I can with the news. I am not, as they say, walking in the corridors of power. But you know, the more I read, the more I imagine those corridors smelling like those disinfectant cakes you see at the bottoms of urinals. Here's what I think I know. Correct me if I'm wrong. The oil rig explosion set in motion the greatest man-made environmental disaster in our history. It may have been only a matter of time until that happened. Safety procedures were ignored. A safety device was not used because it would have cost BP $500,000. A Congressional oversight committee went along with that. Persistent trouble signals were not acted on. An alarm system was not operational. Complaints and misgivings by workers on the rig were ignored. There was no proven method to contain a leak should one occur. After the spill, BP began trying a series of measures we're all familiar with. These were obviously experimental. At the same time, in the early days, BP did all it could to downplay and minimize the extent of the leakage. It moved to prevent access to the site by independent investigators, even from the federal government. It issued statements of corporate optimism that no one believed. It spent millions on a campaign, including TV ads, to protect its image. That money was wasted. With the cooperation of law enforcement, BP outlawed access not only to the site of the spill, but to the site of the damage. It fought against streaming video from the underground camera. Television and newspaper reporters were banned from the beaches and marshlands that were damaged. 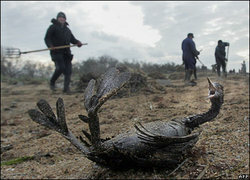 People were arrested and held without charge after attempting to photograph oil-soaked birds. BP prohibited further bird or wildlife photography. BP found widespread support in Congress, mostly but not entirely from Republicans. Measures against the company were opposed. The Obama administration seemed curiously passive, instead of fighting for swift measures with teeth in them. Attacks on BP began to be characterized as attacks on capitalism itself. To oppose its corporate power was somehow anti-American. It was said to be important to protect its stock price. Fox News and its fellow travelers took issue with environmentalists and Greens. It fell in line with the overall neocon strategy of berating those who are alarmed by global warming, insecticides in the food chain, chemicals in drinking water, genetically altered foods, alternate energy sources, strip mining, factory farms and so on. In general, such causes are seen as a danger to corporate profits. Although the facts can be debated in specific cases, the overarching ideological strategy is: Profits are good and must be defended against those who question corporate methods and outcomes. I believe that's a fair summary of the Fox ideology, which is not traditional conservatism but the new neo-conservatism. All this seems clear to me. In my view, the overall neocon strategy for quite some time has come down to this: Maximize corporate profits in disregard of legal and traditional safeguards by all means necessary. Now that Paul Wolfowitz has written that the Iraq War was about oil, not WMD, a decade of obfuscation has been discarded. We are still fighting there. And in Afghanistan. where we are now told the Taliban has been advised and assisted for years by the Pakistan Secret Service. We give $8 billion a year in aid to Pakistan. In some sense, we are subsidizing our enemies. There is one thing everyone agrees about. Energy is the crucial factor. All nations need oil. There is not enough, and it costs too much. The industrialization of the world has led to a dramatic increase in demand. Corporations and nations cannot grow--indeed, cannot survive--without oil. Growth is essential to profit. Profit trumps everything. In a capitalist society, profits in theory go to stockholders. In a socialist society, profits in theory go to the state. Profits originate in both capitalist corporations and socialized corporations. In both cases, they provide enormous power and wealth for the executives controlling them, and for the politicians in league with those executives. Which economic system is involved is not really the issue, although both sides pretend it is. Corporations know no patriotism. They are multi-national. They deal with all markets. It is hard to say just where a big corporation is actually centered. They may have a corporate edifice, but it can be anywhere. Halliburton is in Houston, in theory, but it opened an major office in Dubai, and that is where its chairman, president and CEO lives and works. BP, the fourth largest company in the world, is in London and Houston. Enron seemed to be in Houston, but it turned out not to be a company at all. The largest company in the world is Wal-Mart, which has had great success in China, where its profits will eventually outstrip those in the U.S. It effectively decides the minimum wage in the United States. Legislation affecting these corporations essentially must be approved by their lobbyists. I know this, you know this, and we can't prove it. Their opponents are portrayed as extremists, Greens, subversives, nut cases, eccentrics, socialists, and so on. Attempts to organize Wal-Mart workers have never been successful, even though they have no reason to be loyal to the company. Wal-Mart opposes labor unions by methods that have not effectively been policed. But I'm wading into deeper waters here. I simply want to point out that BP, to take one corporation, has been associated with a grave misdeed against the United States and the world. Let me begin with a tiny anecdote. We've had strange weather lately, as you don't need me to tell you. A big tree blew over over on our property. That was an act of God. Parts of it landed on my neighbor's property. Another act of God. It was my responsibility to pay for its removal. If I'm going to go around growing trees, I have to pay if they get blown over. You can be sure my neighbor will pay if one of his trees blows this way. And if my neighbor could prove that I was trying to cut the tree down (for fuel, let's say) and it fell the wrong way, he'd have grounds for a lawsuit. Especially if it fell on his house and he could no longer live there. BP had a very big tree that blew down in the Gulf. It was not looking after it properly. It ignored or evaded safety regulations. It possibly bore criminal responsibility. The tree fell on my property. BP should have to pay to remove that tree, right? What if it enlisted cops to prevent me from even walking over and taking photos of what they were doing on my property? What if they issued statements saying it wasn't such a large tree, and my property would soon recover? What if it landed on my house, and BP said it wasn't much of a house in the first place? BP will be in the courts for years to come. It has no interest in a quick decision. It has plenty of money to throw armies of lawyers into the fight. Its inspiration will be the famous case of Jarndyce and Jarndyce All I have on my side is this little State Farm policy. But my neighbor down the street, Obama, met with those bastards and asked them to put $20 billion in an escrow account to help pay for my damages. I was relieved and thankful, and then I listened to Fox News and the Republicans and was shocked to hear he was guilty of extortion, and this was proof he was a socialist. I've known my neighbor a long time. I think there are a lot more Americans who think he is socialist than there are Americans who know what a socialist is. I really grew apprehensive when only yesterday, July 24, I learned that BP hasn't yet put one dollar into the fund. What I don't understand is how corporations were granted their immunity. How it is axiomatically understood that their interests come before those of people or even their governments? Why must they be defended against reform? How do they recruit their friends in politics and reward them? How do politicians win support from voters whose own wages and safety are threatened? 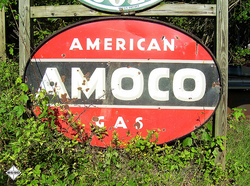 Standard Oil was the largest corporation in the world. It was thought to have grown too large. It was the target of such Trust Busters as Teddy Roosevelt and William Howard Taft. It was broken up by U.S. courts under the Sherman Antitrust Act of 1880. A U. S. Supreme Court decision in 1911 upheld that decision. 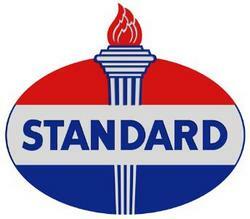 One of Standard's offshoots was the Chevron Corporation. 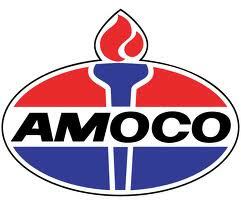 Another was known as Standard Oil and then Amoco, until Amoco was absorbed by BP. What do you think the chances are today of BP attracting antitrust attention, and modern Trust Busters being upheld by the Supreme Court? See what I mean? Our values have changed. Hell, no, I 80% wouldn't pay for Twitter!